Everyone in the family feels the stress of returning to school after summer. Here are a few tips for keeping your cool. As kids head back to school across South Florida, excitement is rising, but so are the nerves. That’s why the experts say it’s important that parents help ease the back-to-school stress and not aggravate it. Naylette Noa, a Homestead mom said she definitely feels the stress. “I barely even sleep at night," she said. "I wake up in the middle of the night like, 'Oh, I just remembered this one needs something. I just remembered this one needs black shoes, this one needs white socks and this one doesn’t have a bow.' So yeah, it’s very stressful." With the final week of summer vacation upon us, you still have time to get your child the latest back-to-school tech must haves, and still remain in your budget! 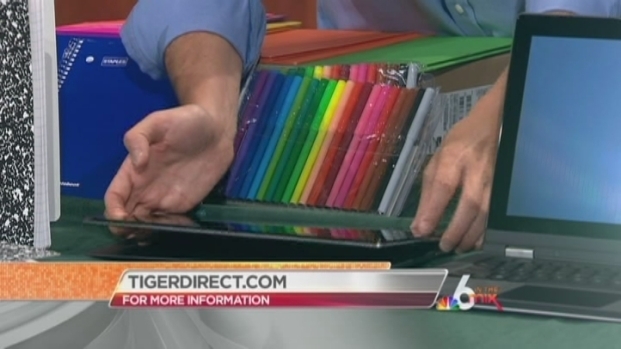 The experts from TigerDirect.com gave Roxanne Vargas some suggestions. Even the teachers say they can get stressed out, because it can be hard knowing what to expect. “You would think that every year it would get easier, but I’m still probably just as nervous as the first year,” kindergarten teacher Valeria Casanova said. FIU psychology professor Dr. Jeremy Pettit, who studies child anxiety, can back up that claim. With the school year upon us again, it's time to start thinking about what quick, easy, healthy snacks you can serve up for the kids when they get home from school. Goya Executive Chef Fernando Desa has you covered. “There’s just a lot of things that need to get done in a short period of time and it creates an atmosphere of heightened stress and tension in the home," he said. Pettit says the fear of the unknown usually goes away within the first few weeks of school, so parents need to be strong if their child is begging to stay home. Pettit also says parents should show empathy with their children when they seem anxious about going to school, but not to give in to vague complaints about headaches or stomach aches or even throwing up because that happens all the time. Above all, Pettit says, let them go! Because if parents don't separate from their children, it just prolongs the agony for them. Casanova is no stranger to upset kids and parents. “I’ve had parents crying. I’ve had parents peeking in through the window, through the door," Casanova said. The Somerset Academy teacher has her own advice for well-meaning parents. “If they just drop them off and go, it’s usually the best, but if they go, 'Oh come back, I want another kiss, another hug, oh it’s gonna be okay, another hug,' it just keeps going and it’s harder,” she said. 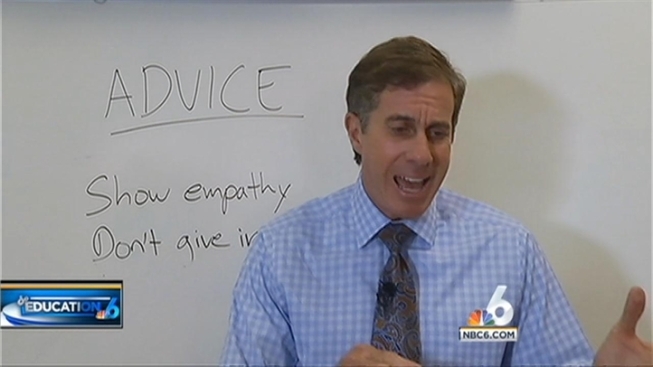 Check back with NBC6.com and NBC 6 South Florida this week for all you need to know about the start of school and tune into NBC 6 every Monday at 6 p.m., as Reporter Ari Odzer reports on the important education issues affecting students and families.